Sonia has the advantage of having a wealth of life experience behind her. She has a background in the Arts and companion animal health industry. Sonia developed an interest in Naturopathy at an early age as a result of personal health issues including chronic asthma. Her purpose in life is to help others take control of their health and live with happiness, vitality and wellness. She is passionate in facilitating her patient’s journey in attaining and maintaining optimum health. She acknowledges the inter-connectedness of the body, mind and Spirit. 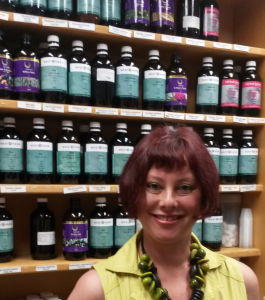 Sonia believes in enhancing vitality and supporting the body’s ability to heal itself. After taking a comprehensive consultation and analysing any necessary tests, Sonia will assess the cause of your ailment rather than focusing on symptoms in isolation. She then develops a holistic wellness programme that is tailored to the individual requirements of each person, depending on their body function and treatment goals. Sonia can help with a wide range of health conditions involving all body systems. She uses Nutritional medicine, Western herbal medicine, Homoeopathy, Cell salts and flower remedies. She may also use muscle testing, Iridology and the Dorn Method as other modalities.